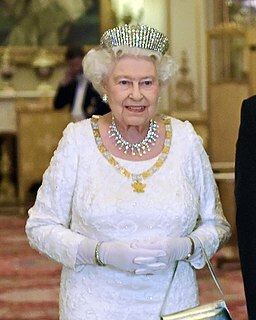 The Honours of the Principality of Wales are the regalia used at the investiture of Princes of Wales, made up of a coronet, a ring, a rod, a sword, a girdle, and a mantle. 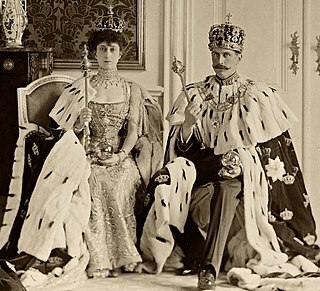 All but the coronet date from the investiture of Prince Edward (later Edward VIII then Duke of Windsor) in 1911 when most of the Honours of Wales were redesigned. The present coronet takes the form laid down in a royal warrant issued by Charles II in 1677, which states, "The son and heir apparent of the Crown shall use and bear his coronet of crosses and fleurs-de-lis with one arch and a ball and cross". Within the frame, which is made of gold, is a velvet cap lined with ermine. 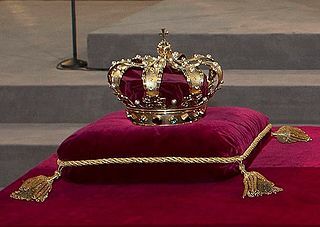 The present coronet was made for the investiture of Charles, Prince of Wales in 1969 as the Coronet of George was still in the possession of the Duke of Windsor who was living in exile in France. The defunct coronet and its predecessor the Coronet of Frederick are now a part of the Crown Jewels in the Jewel House at the Tower of London. The original coronets as worn by the Welsh rulers of the Kingdom of Gwynedd and other Welsh principalities have been lost. 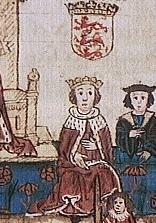 Llywelyn's coronet was seized by the king of England in 1284 and is known only to history. The fates of the coronets of the rulers of the other princely states, if they ever had them, are not known. ^ a b c Royal Household. "Honours of the Principality of Wales". British Monarchy website. Archived from the original on 8 March 2013. ^ Joseph Edmondson; Robert Glover; Sir Joseph Ayloffe (1780). A Complete Body of Heraldry. T. Spilsbury. p. 197. "The Prince of Wales's Coronet". Royal Collection Trust. Inventory no. 69058. "Prince of Wales's Investiture Sword". Royal Collection Trust. Inventory no. 69056. Welsh gold is gold that occurs naturally in two distinct areas of Wales and highly prized because of its origin and scarcity. One area it is found in is North Wales in a band stretching from Barmouth, past Dolgellau and up towards Snowdonia. This was mined at several mines, the largest of which were the Gwynfynydd Gold Mine, near Ganllwyd, and the Clogau Gold Mine near Bontddu. In South Wales, it is found in a small area in the valley of the River Cothi at Dolaucothi where it is known to have been mined by the Romans.